Patrick Commone from Co Kildare, stepping out in style with his pair of Irish and French Draught geldings - Bob and Clyde. 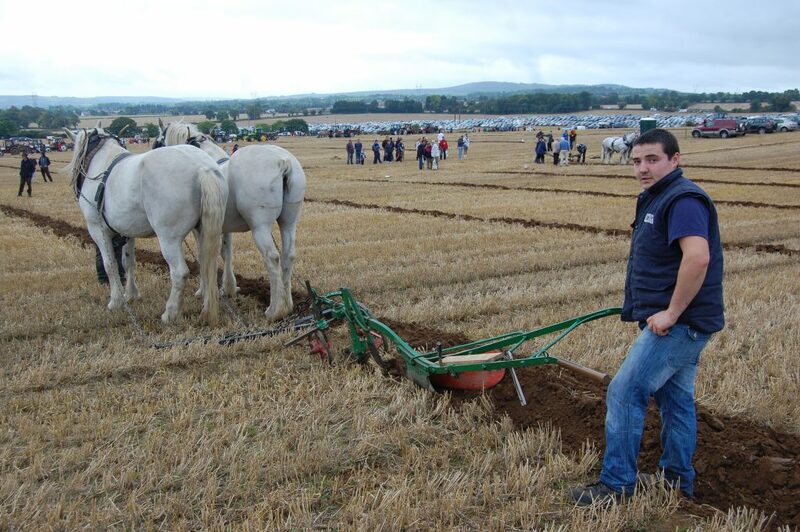 Next year’s National Ploughing Championships will return to Ratheniska, Co. Laois, it has been confirmed. Europe’s largest outdoor event, the National Ploughing Championships is set to return to Ratheniska, Co Laois from September 22-24 for a third year given the triumph of this year’s event. The total attendance figures for the 2014 Championship came to a record breaking 279,500. 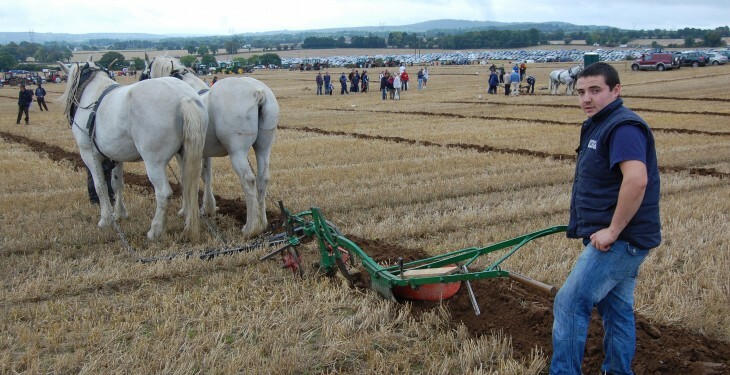 This marks the most successful National Ploughing Championships in history, smashing last year’s figures by 51,500. The widely popular site was confirmed as the ideal location for the 2015 Championships at yesterdays prize-giving ceremony attended by over 500 in the Heritage Hotel, Portlaoise. Speaking after the announcement the NPA Managing Director Anna May McHugh said “We are delighted to be staging the event in Ratheniska, Co Laois again next year. Feedback from landowners, the local community and the wider public has been very positive and all were incredibly enthusiastic to see a return. “Speaking also with many of the exhibitors and visitors over the 3 days throughout the event, all were very vocal about their wishes to have it staged again in Ratheniska given how well it worked as a location this year. The site has proved popular for several reasons including its central location and surrounding road and rail network. By and large most people travelled to the site with ease and the minimum of traffic delays. This has certainly helped the event in being such a success this year and we hope to repeat this again in 2015. Anna May McHugh also congratulated all of the winners who were awarded at today’s prize-giving ceremony. Current World Ploughing Conventional Champion Eamonn Tracey from Carlow will again represent Ireland in next year’s World Ploughing Contest in Denmark. And bronze medal winner John Whelan from Wexford will take part in the Reversible Class.